Kirsten Gillibrand Helped End Al Franken's Career. That Could End Hers — Or Make Her President. Send a tweet about either Gillibrand or Franken, and there’s a decent chance you’ll hear the other’s name. Eight months after Al Franken left the Senate in the wake of sexual harassment allegations, Sen. Kirsten Gillibrand hasn’t stopped hearing that she is to blame for his resignation. It’s come from top donors and influential party figures, as well as voters whom Gillibrand encounters. It’s also an accusation that has taken off on the internet, where anger about the Democratic senator’s resignation hasn’t stopped bubbling up — much of it directed squarely, and seemingly relentlessly, at Gillibrand. It’s a moment that seems like it could potentially derail her national ambitions as she considers a presidential run — or cement her as the voice of a new, younger generation, one that has moved past Bill Clinton into the #MeToo era. Last year, eight women said Franken had inappropriately touched or kissed them — including a former Democratic congressional aide who said he’d tried to forcibly kiss her in 2006 — and he was seen in a photograph from the 2000s in which he mimicked grabbing the breasts of a sleeping woman. 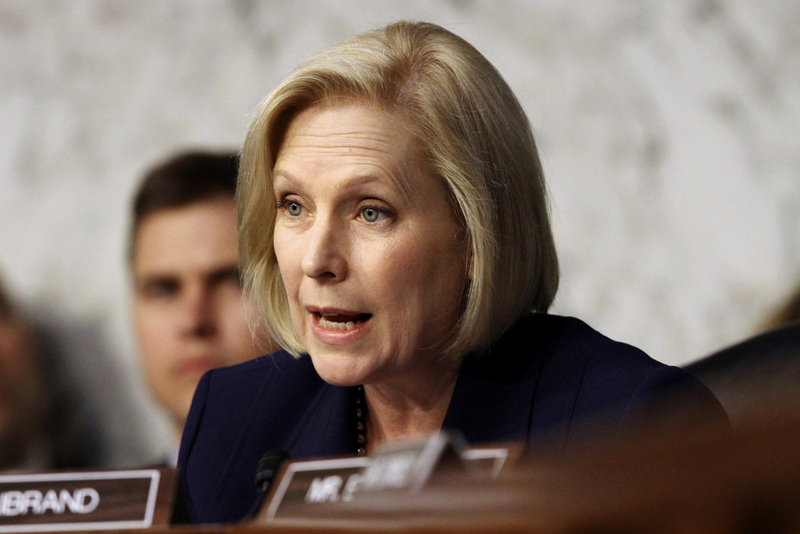 And though Gillibrand was the first to call for his resignation, she wasn’t alone: More than two dozen senators — including other prominent women in the Senate, like Patty Murray, Claire McCaskill, and Kamala Harris — did so, as well, many within minutes of Gillibrand. And yet, send a tweet about either Gillibrand or Franken, and there’s a decent chance you’ll hear the other’s name. Some of Gillibrand’s allies have suggested the backlash is gendered — a classic example of a woman being blamed for a man’s alleged misdeeds. It could also be also tribal — anger at the idea that Gillibrand attacked someone within her own party. Or it might be generational: Some of Gillibrand’s more vocal public critics are older, more established political figures, rather than younger Democrats influenced by the feminist progressivism of the #MeToo era. At least two major Democratic figures have expressed displeasure over the call for Franken to resign. Susie Tompkins Buell — a significant fundraiser, donor, and Clinton ally — said in January that she was “reconsidering” support for those who had called for Franken’s ouster. Online, the frequent condemnations of Gillibrand usually echo Soros’s criticisms: that she “railroaded” Franken in order to further her own political ambitions, either to make her path to the presidential nomination easier or gain attention after having made her name in the Senate as a longtime advocate for victims of sexual assault. The issue doesn’t appear poised to fade away, especially if Gillibrand steps further into the national spotlight — in part because Franken, too, is seemingly not going away. 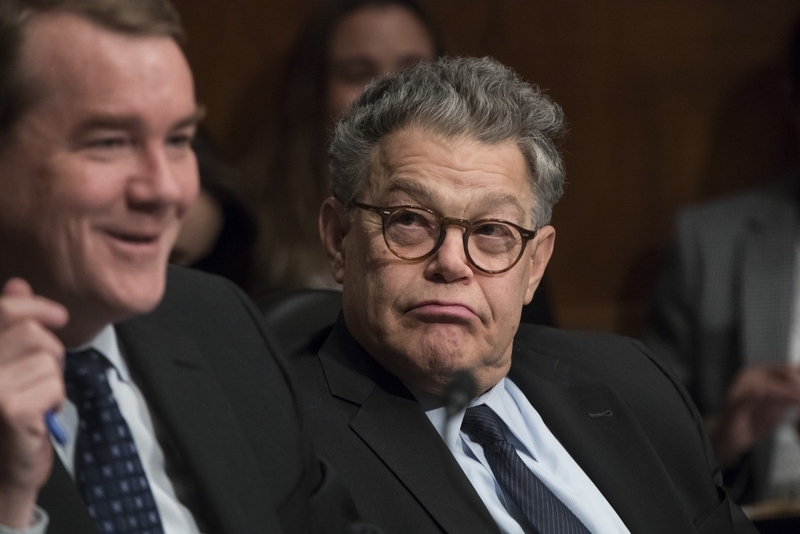 A spokesperson for Franken said Tuesday that the former senator was “not commenting on stories for the foreseeable future.” But that day, Franken made his first public appearance since his resignation — one where he refused to rule out running for further office. Gillibrand’s allies, though they position her choice as a moral one, don’t entirely disagree in principle: Given her record, they say, there was no other decision to make but to believe Franken’s many accusers, one of whom was a former Democratic congressional staffer. And, they implicitly argue, should anything matter beyond the legitimacy of the allegations? But the frustrations on Twitter pointed at Gillibrand also echo anger at the Democratic establishment in the Trump era — a populist, if not principled, frustration that Democrats continue to “play by the rules,” dutifully pushing out one of their most popular politicians after allegations of inappropriate touching, while Donald Trump remains in office despite a bevy of credible allegations of sexual assault against him. Last year, Gillibrand faced scrutiny when she said Bill Clinton should have resigned after the revelations about his relationship with Monica Lewinsky. The criticism came from some close Clinton allies and conservatives, who accused Gillibrand of hypocrisy — accepting the Clintons’ support when it was politically convenient, then criticizing him when the moment had changed. But some younger feminists also defended Gillibrand, saying the conversation around Clinton has long been focused on women responding to his behavior, rather than demanding a response from Clinton himself. A not dissimilar defense emerged of her and her colleagues calling on Franken to resign: If Democrats can't call out behavior in their own party, some argued, doesn't that diminish the power of their critique of Republicans facing similar, or even much more serious, allegations?